MC Sha was born and raised in Philly; the city of brotherly love. Started out as Nasty Neze, MC grew from street battles to making records in the studio and became Shati. Shati joined with producer Mac G (previously produced for DMX) to complete the demo “Shati’s Principals” which would be shopped to major labels for review. After Shati had been turned down by several labels, she decided it was time for change. In 2009 Shati became MC Sha, she would persuade the industry by giving homage to the legendary MCs and bring back the old school hip hop flow. MC Sha’s first song “I’m MC Sha” let old and new fans know that Shati was gone and MC Sha is here to stay. After “I’m MC Sha” MC released “Swigga” a song made to diss the swagger era and create a new term in pop culture. 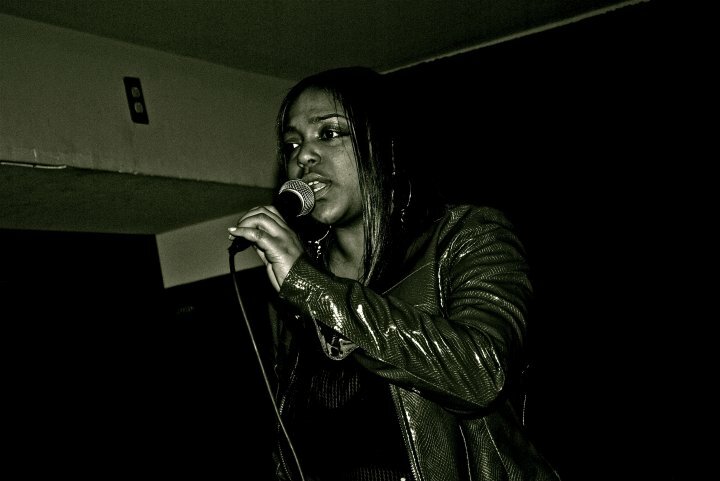 This success compelled MC to make her first mixtape ever “To The Finish” in 2010. This mixtape was made to symbolize the struggle in MC’s career and with determination she would fight to the finish line to become a music icon. “To The Finish” is now being sold on Itunes, Amazon, Rhapsody etc. “Step 2 The Finish” came next, the sequel to “To The Finish” showed more versatility in MC’s style, flow and execution. 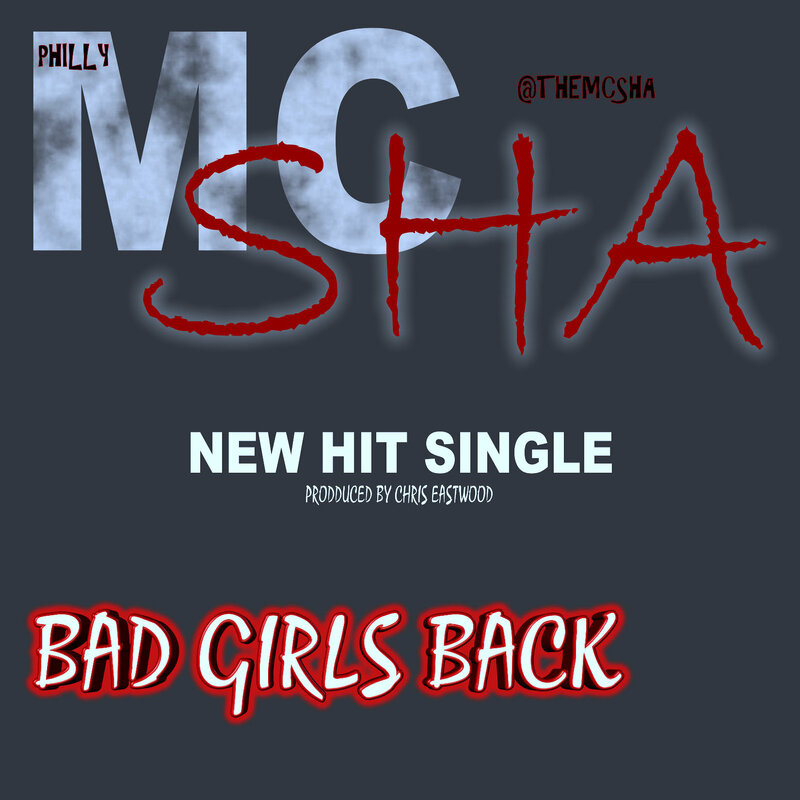 Now MC Sha has a new single “Bad Girls Back” inspired from the reality television series “Bad Girls Club”. This new single is gaining the attention of record executives, Disc Jockies, Radio personalities and new interested fans rapidly. MC Sha is advancing at a great pace. 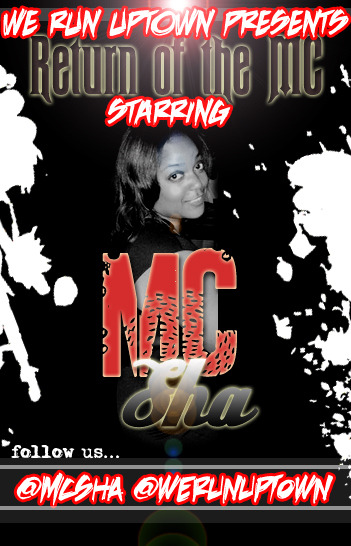 MC Sha’s is backed by We Run Uptown, a promotion team dedicated to her success. We Run Uptown promotes artists worldwide who are from or represent “Uptown”. MC Sha will star on all DVDs and mixtapes hosted by We Run Uptown in the near future. 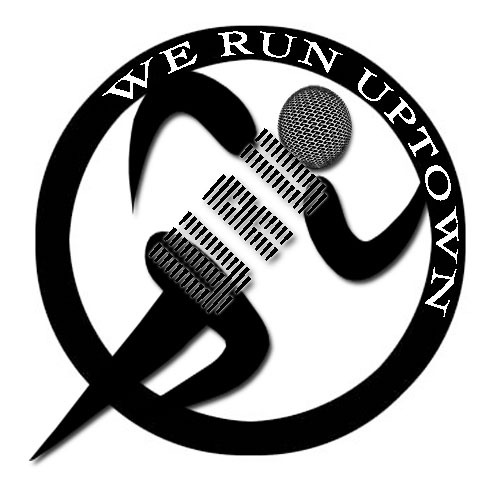 MC Sha will also be starring in a webcom “This is Uptown” hosted by We Run Uptown. MC Sha is also the first Lady of an online Radio station based in Philadelphia; Air It Out Radio. This new partnership has already raised the attention of masses and will continue to grow interest globally. Stay tuned as MC Sha continues to sweep the nation with her lyrical talent; “Reinvented” The EP is the next project for MC Sha. This project will offer a new, elevated and unique sound from MC Sha projected to release 12/2013. Posted on March 10, 2013, in The HipHop Dungeon, UNDERGROUND NEWS and tagged Female Emcee, indie, MC Sha, Music, PA, Philly, TTO, We Run Uptown. Bookmark the permalink. 1 Comment.